The Thai Embassy in Malaysia is located in Kuala Lumpur, Malaysia. This embassy will issue you a Thai visa depending on what you require. They do from time to time issue multiple entry marriage visas if you can show all the documentation of marriage, a valid relationship and at least 100,000 baht in a Thai bank account. 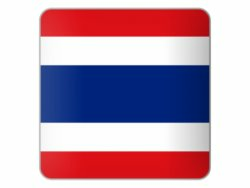 As from this month being June 2013 the Thai Embassy in Malaysia has again changed the rules for the multiple entry “O” visa. You now need to show 400,000 THB in a Thai bank account in order to obtain a Thai Marriage Visa (multiple entry) 12 month visa. They do issue tourist visas but they are very strict about issuing more than 2 such visas due to visa abuse. Business visas are single entry only and you need to have the property paperwork. The embassy is much more friendlier than the Thai embassy in Cambodia or the Thai Embassy in Laos when it comes to marriage visas. Again call the embassy or best email them about the requirements for each visa. 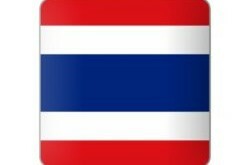 The telephone numbers are listed below with a map to the Thai embassy in Kuala Lumpur. Office Hours : Monday-Friday:09.30-13.00 & 14.00-17.00 hrs.